André Castelot was born André Storms in Antwerp, Belgium, a son of poet Gabrielle Storms-Castelot and painter Maurice Chabas. He became the acclaimed author of some 65 vivid, richly-detailed biographies and studies of prominent figures in French history, particularly those of the 16th, 18th, and 19th-centuries, such as Queen Marie Antoinette and the Empress Josephine. 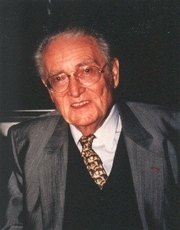 With his longtime friend, writer Alain Decaux, he created and produced popular French radio and television programs. Castelot also wrote the historical soundtrack for "sound and light" shows at famous historical sites, including Chambord and Compiegne. He received numerous awards, including the Legion of Honor, the French National Order of Merit, and the Grand Prix of the Académie Française. The Prix André Castelot, given each year to a popular book or historical novel, was created in his honor. André Castelot is currently considered a "single author." If one or more works are by a distinct, homonymous authors, go ahead and split the author. André Castelot is composed of 12 names. You can examine and separate out names.